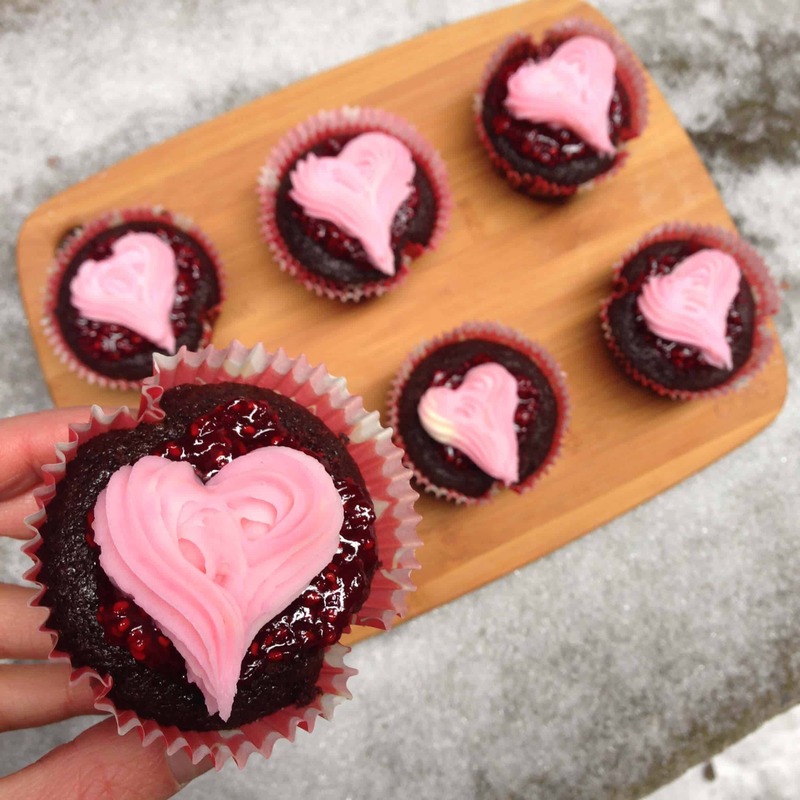 Valentine’s day is right around the corner, and I wanted to make some festive cupcakes for my coworkers. I ended up making dark chocolate cupcakes with a raspberry compote filling, pink vanilla buttercream, and pink and red sprinkles. I used my favorite chocolate cupcake recipe, which is inspired by one of my favorite baking blogs, the Brown Eyed Baker. Preheat oven to 350 degrees F. Line a standard-size muffin pan with liners. Place the chocolate pieces and cocoa powder in a medium bowl. Pour the hot coffee over the mixture and whisk until smooth. Refrigerate mixture for 10 minutes, until it has cooled to room temperature. Meanwhile, whisk together the flour, sugar, salt and baking soda in a medium bowl; set aside. Whisk the oil, eggs, vinegar and vanilla extract into the cooled chocolate mixture until smooth. Add the flour mixture and whisk until smooth. Divide the batter evenly between the muffin pan cups. Place one slightly rounded teaspoon of ganache filling on top of each cupcake. Bake until the cupcakes are set and just firm to the touch, about 12-14 minutes. Cool the cupcakes in the pan on a wire rack for 10 minutes, then remove the cupcakes from the pan and place on the wire rack to cool completely, about 1 hour. While the cupcakes bake, prepare the raspberry compote. Heat a saucepan to medium heat, and cook down the raspberries, sugar, and lemon juice for about 10 minutes. Stir in the cornstarch, and cook for another 2 minutes. Remove from heat, and let cool. Next, prepare the frosting. Beat the butter and salt on high using a hand mixer or KitchenAid, until the butter is light and fluffy. Slowly add in the powdered sugar over several installments, alternating with splashes of cream. Mix in the vanilla and salt, and mix on high until all ingredients are fully incorporated, and the frosting is light and fluffy. Add in the gel food coloring, and mix until the frosting is an even color. Once the cupcakes are fully cooled, cut out the centers, and fill them with a rounded tablespoon of the cooled raspberry compote. 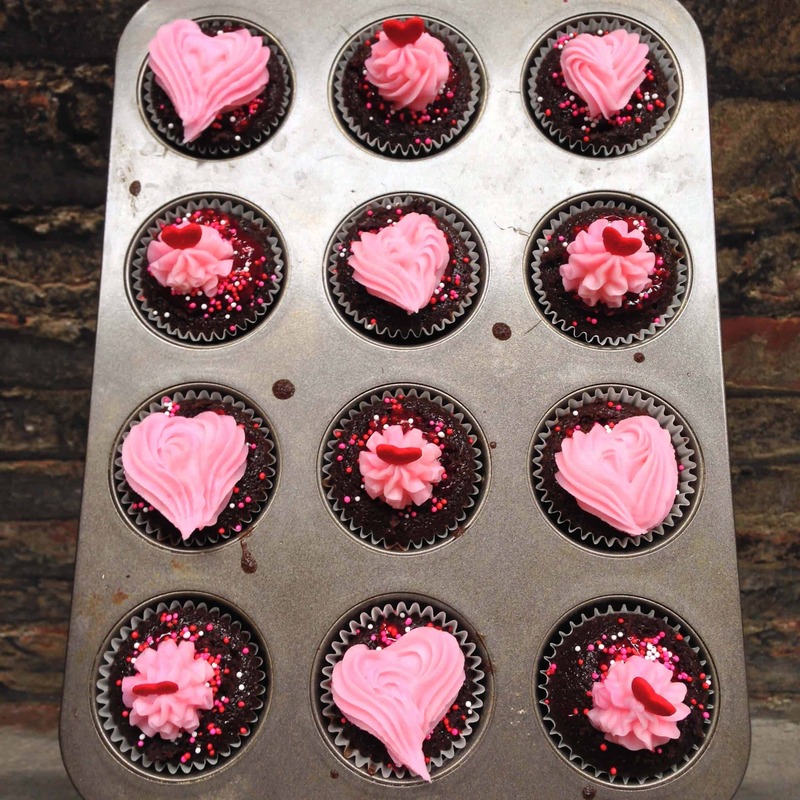 Sprinkle red and pink nonpareils over the cupcakes, then frost a swirl onto the cupcakes using a open star tip, and add a heart sprinkle to the top of each cupcake. 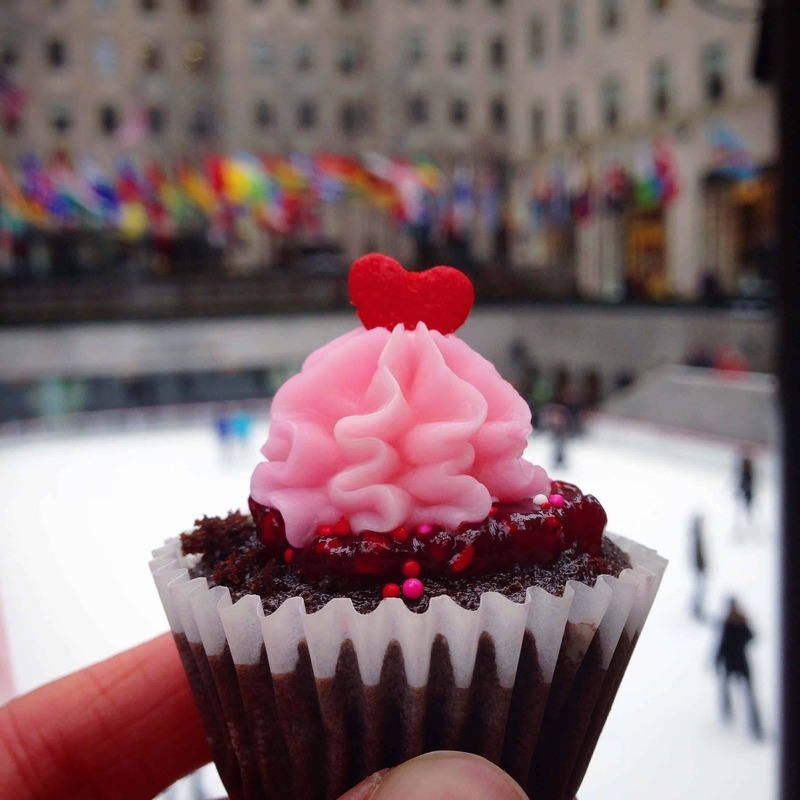 I loved the way Dark Chocolate Raspberry Cupcakes looks. It definitely tastes good as well. Can you use this raspberry compote as a filling in a cake? ?